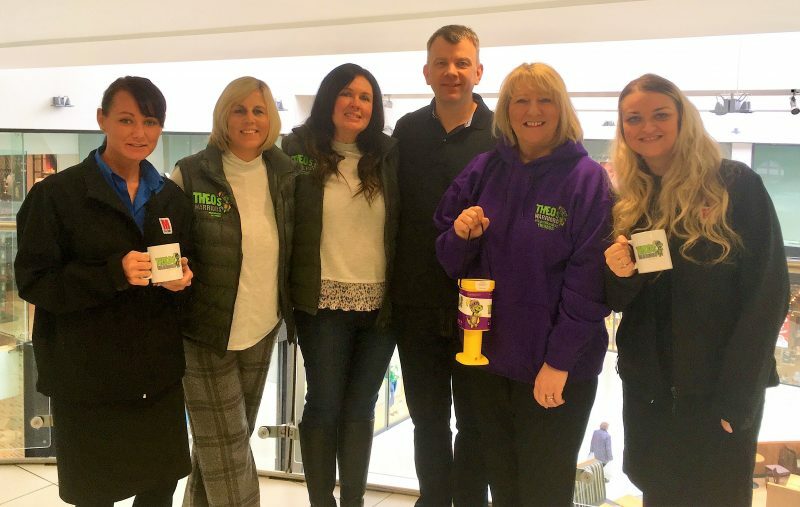 The Mall Blackburn is looking for its next Charity of the Year as it celebrates a record-breaking period of fundraising for its current beneficiary! Applications are now open for local charities to apply to become The Mall’s Charity of the Year as part of its Mall Cares programme. The closing date is Thursday 28th February 2019. In March 2018 management at the shopping centre selected Theo’s Warriors as their nominated not for profit partner and the current total collected stands at over a whopping £7000! Theo’s Warriors, which supports children and their families through their cancer diagnosis and beyond, has embraced the opportunity by organising a whole host of activities. Bucket collections, Mall Monster appearances and a charity sky-dive, which saw Mall staff, their friends and a trustee of the charity jump out of aeroplanes, have all contributed to the total. Janet Cottam, who is a Trustee for Theo’s Warriors, is urging charities to apply to become the next beneficiary. She said: “We entered to become The Mall’s Charity of the Year and didn’t even expect to get through to the shortlist, so we were over the moon when we found out we had made it to the final three! “Preparing for the presentation was extremely nerve wracking, but we needn’t have worried as everyone was so kind and made us feel at ease from the moment we walked through the doors. “Being crowned the winner was a dream come true and we have thoroughly enjoyed working with everyone at The Mall. “The total raised so far is incredible and there is even more to be added after the shopping centre agreed to donate a percentage of profits from its Santa’s Workshop this Christmas. Loraine Jones, General Manager at The Mall Blackburn, said: “We love getting to know new, inspirational charities each year and Theo’s Warriors have been fabulous to work with. “There are so many deserving charities across Lancashire and it is always such a difficult decision to select just one. “We want new and exciting ideas for fundraising activities and we are open to any suggestions! Cash 4 Kids, Lancashire Mind, Nightsafe, Blackburn Youth Zone, Inbetweenears and East Lancashire Hospice have all previously been supported through the ‘Charity of the Year’ initiative. Charities that would like to be considered should complete the online application that can be found on The Mall’s website to outline how they would make the most of the partnership and what ideas they have to raise funds and awareness within the shopping centre. The closing date is midnight on Thursday 28th February 2019 and the partnership will start in March 2019.